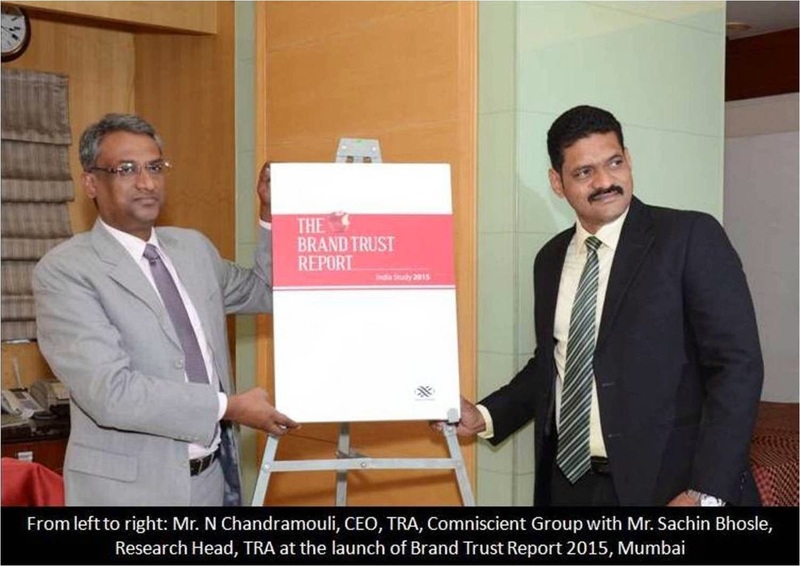 Mumbai, India, 24thFebruary 2015: India’s much waited brand barometer, The Brand Trust Report, India Study, a study comparing ‘trust’ held in brands, for 2015 has been released. LG has been ranked as India’s Most Trusted brand in the study this year. The brand was ranked 4th in BTR 2014, 10th in BTR 2013, 3rd in BTR 2012 and 4th in BTR 2011, showing a consistent trust legacy. Samsung Mobiles is ranked India’s 2nd Most Trusted Brand, up 377 ranks over the previous year. Sony is the 3rd Most Trusted, followed by Tata ranked 4th (both are down one rank from last year) and Nokia is ranked 5th maintaining its rank of last year. India’s 6th Most Trusted Brand is Bajaj which has gained forty ranks over 2014 and Honda is ranked 7th Most Trusted gaining one rank over last year. Dell is India’s 8th Most Trusted Brand rising 46 ranks over the previous year, Godrej is India’s 9th Most Trusted (up seven ranks over 2014) and Hewlett Packard is the 10th Most Trusted in 2015. The report is launched annually by TRA (formerly Trust Research Advisory), a company of the Comniscient Group, a diversified communications group.